The U.S. Merchant Marine Academy Alumni Association and Foundation (AAF) has formed an advisory committee composed of Kings Point graduates and education experts to assist the U.S. Maritime Administration (MARAD) and the Academy in protecting and preserving the school’s imperiled accreditation. In June 2016, the Middle States Commission on Higher Education (MSCHE) reported that the U.S. Merchant Marine Academy (USMMA) underperformed in five of 14 areas including planning, leadership and governance, administrative staff qualifications, resource allocation and student services. Of the 10 MSCHE-accredited schools currently on warning status, the Academy is the only one to have failed in more than two categories. USMMA is the first-ever Federal Service Academy to be placed on warning, and it must provide a progress report to MSCHE by March 1 on the Academy’s implementation of the required changes outlined in the report. Drawing on case studies of schools that have previously been placed on warning to identify the concrete steps that will ensure re-accreditation. 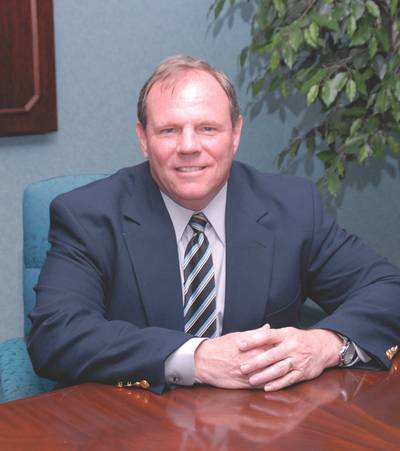 Bob Comegys, vice president and corporate ocean cargo underwriting line manager, Starr Indemnity and Liability Company. Mr. Comegys is chairman of the Education Committee of the American Institute of Marine Underwriters. He is a 1977 USMMA graduate. Connie Dato English, director, global talent acquisition, CFA Institute. Ms. English is a member of Senator Mark Warner’s Service Academy Review Board. She graduated from USMMA in 1986 and earned an MBA from the University of Virginia Darden School of Business. Victoria Millar Ferguson, senior engineering instructor, Exelon Nuclear Generating Station. Ms. Ferguson graduated from USMMA in 2005 and from 2013-2016 served as assistant professor, assistant women’s lacrosse coach and Sexual Assault Prevention and Response Program victim advocate at the Academy. James Fitzpatrick, marine transportation professor and department chair, Massachusetts Maritime Academy. Capt. Fitzpatrick graduated from USMMA in 1977 and earned a Doctor of Education from Columbia University. David Steinberg, former president, Long Island University. Dr. Steinberg also served as vice president and university secretary at Brandeis University and on the board of trustees for the Commission on Independent Colleges and Universities. He earned his B.A., M.A. and Ph.D. from Harvard University.